Kim at Living Vintage contacted me over a year ago to ask to use one of my photos from Africa - Land of Dreams that I shared on my blog. I am always a little surprised and a whole lot flattered when someone wants to share one of my photos. So, of course I gave her permission. Each week Kim shares a collection of photos found on the internet that appeals to her in a weekly series called Friday Favorites. For Friday, May 20, 2016, Kim rounded up a collection of photos in brown tones that she christened earthy Friday Favorites in which she featured one of my photos. She captioned the photo as luxury camping in Africa, and filed her post under several labels including "Glamping". 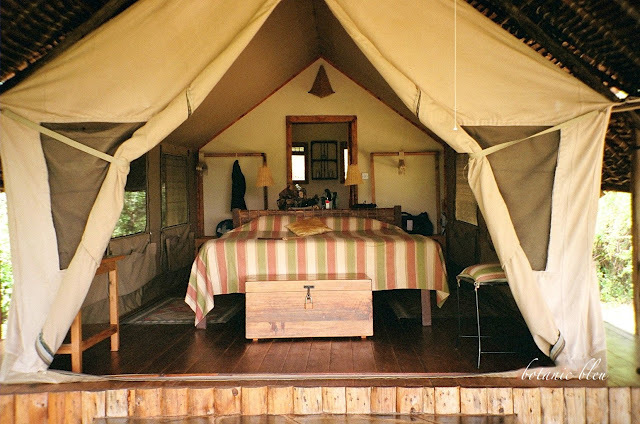 Yes, a luxury tent in Africa could be considered glamping. Please pop over to Living Vintage to see all of the earthy photos that Kim shared. 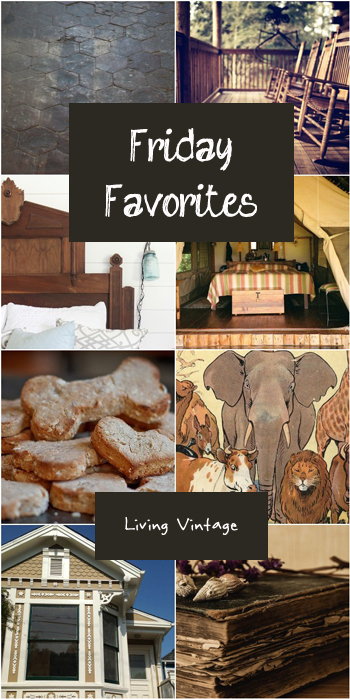 Then browse through her archives to see more of her weekly Friday Favorites collages that are grouped by colors. One of my recent favorite collages is from May 13, 2016 and is filled with beautiful blue. for sharing my luxury tent from the glamping trip of my dreams. Been glamping lately? Or have a dream to visit Africa? I would love to hear about it. I'm off to see her other posts. Thanks for introducing me. I had never heard of this term, "glamping" until earlier this morning at another blog where she mentioned the word! And now here! Well, that is a great concept!!!! Happy Friday, Judith! I bet that was an amazing trip! Have a great weekend. We haven't been camping in years, but I think glamping sounds fun! That's pretty stylish camping. Love it. Judith! I just read your African adventure! What a fascinating trip! Thanks so much for sharing at Dishing It & Digging It! I love the African style glamping! Oh how camping has changed...looks like a great idea! Thanks for sharing this with us at TOHOT!